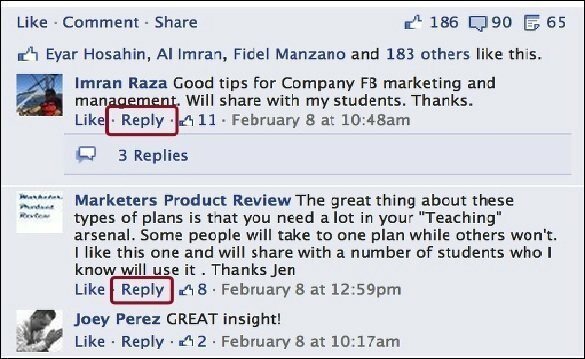 Facebook is preparing to launch a new threaded reply feature on pages and profiles in an effort to increase interactions with fans and readers. Beginning on Monday, the social network giant has stated that users will be able to reply directly to comments left on someone’s page and also start threaded conversations from there. The aim of the new reply comment threads is to improve interactions between groups and their readers, and to keep comment sections more organized. “You and your readers will have the ability to reply directly to comments left on your page content and start conversation threads, which will make it easier for you to interact directly with individual readers and keep relevant conversations connected,” states Vadim Lavrusik, Facebook’s Journalism Program Manager. With this new system, comments and their replies will be organized in accordance to relevance and popularity with viewers. Lavrusik explains, “the amount of positive feedback based on the total number of likes and replies in a conversation thread, connections to participants in the thread and the total number of spam reports in a thread” will determine the ranking of the reply’s so the most engaging and active discussions will automatically be highest on the page. Page and profile owners will be able to opt-into the replies through the Page Admin Panel in the ‘Manager Permissions’ section. The feature will be automatically turned on for profiles with more than 10,000 followers however, as of July 10, all pages will automatically opt in for the reply comments. While this feature will only be available on desktop versions of Facebook, a mobile version is set to be launched in the not to distant future.